Creating, Widening, Celebrating The Circle of Love! This is the time of year when we invite you to consider your financial commitment in the form of making an annual pledge to Boise UU. Your pledges help support the mission and vision of this beloved community and all of our programs, ministries, and operations. This year’s theme is “The Circle of Love” inviting us to reflect on how we help create and widen that circle, welcoming and nurturing those seeking a spiritual community where all have a place at the table. We extend that welcome out into the world through acts of service, public witness, advocacy and justice recognizing that our commitment to radical love and hospitality extends beyond our walls even as we support those within. And now, more than ever, the world needs our voices of hope, love, and justice. 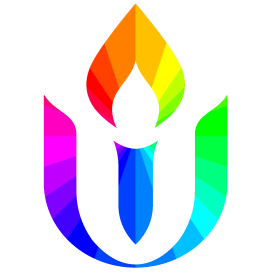 As Unitarian Universalists, we are in the business of changing lives. On some level we have committed ourselves to this fellowship to create wholeness, healing, and transformation in our own lives, in the lives of this community, and in the world. When we give, we say YES to that vision, mission, and possibility. YES to being co-creators in that transformation. We hope you will participate by making your annual pledge at our special Celebration Sunday service on April 9th at 11:00am at the Stueckle Sky Center atop the BSU Stadium. Click HERE to RSVP to Celebration Sunday. Thanks to a group of generous donors who have pledged to the fund above and beyond their annual pledge, we have $11,325 available to match first-time pledges and pledge increases (until funds are exhausted). Help us take advantage of the generosity of the matching fund donors by increasing your pledge and making your increase count twice as much! If you are a first-time pledger, the matching fund will automatically double the impact of your giving!